Winter is half over and the new year has started but somehow the snow keeps on coming, and we probably aren’t the only ones relying on new slot titles to keep our minds busy. Luckily for us, the real money slots releases also keep on coming. 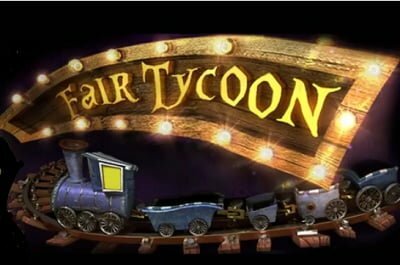 Video slot Fair Tycoon Slots will definitely help you get your mind off winter. This summer-themed fairground title is a 5-reel, 17 payline slot, reminiscent of games from the Sims franchise. Instead of building neighborhoods and cities though, your mission is to build a summer fairground. Interactive and engaging, you can chose how your adventure unfolds. What you build has an impact on how much you can win. As you build your park, you chose the attractions, food and rides. As you win, you can use your gains to purchase and add on to your park, using “Fair Credits”. It’s important that as you build your fairgrounds, that you keep people happy, which ultimately leads to further rewards from the game. Machina Megaways Slots is newly released by Kalamba Games, with three progressive jackpots, each unique to the player. With over 46,000 ways to win, you have the chance of winning up to 26,000 your original bet amount, and 3% of every bet contributes to the final value of each potential jackpot. The “Hyper Bonus” feature is a free spin trigger, automatically triggered when scatters are landed. With a 96.59% return to player, the chances for wins aren’t too bad. Another that we have really been enjoying is Cazino Cosmos Slots by Yggdrasil. This Cazino Zeppelin sequel is as futuristic as the original, and the bonus games are varied and each uniquely exciting. One of the biggest biggest bonus attractions of this title is the free spins round, which kicks off when you obtain five scatters. The free spins round relies on sticky wilds, which stick around until the round is over, increasing win potential. There are lots of other titles being released to keep you busy, but these are our picks for January. Check out these titles at 888 Casino, and keep on checking back as February kicks off.